Medicine has greatly benefited from technological development, which brought more and more doctors to specialize. Given the patients’ needs and the diversity of cases, the family doctor alone cannot always address such a request, hence the need for a close collaboration between family physicians and specialists. Allergology is the medical specialty that studies all the clinical and biological phenomena related to allergy as well as its treatment. Cardiology is the branch of medicine that studies the cardiovascular system. General surgery is the branch of surgery that includes the investigation and treatment of various diseases that may require surgery. Plastic and esthetic surgery is a branch of medicine that specializes in the aesthetic treatment of health care in addition to surgical treatment of diseases of the skin and hands. Endocrinology is the medical specialty that studies the endocrine glands. Gastroenterology is the medical specialty that studies the digestive system and its diseases. Obstetrics-Gynecology is a medico-surgical specialty of medicine that studies the anatomy, the physiology and the pathology of the female reproductive system. 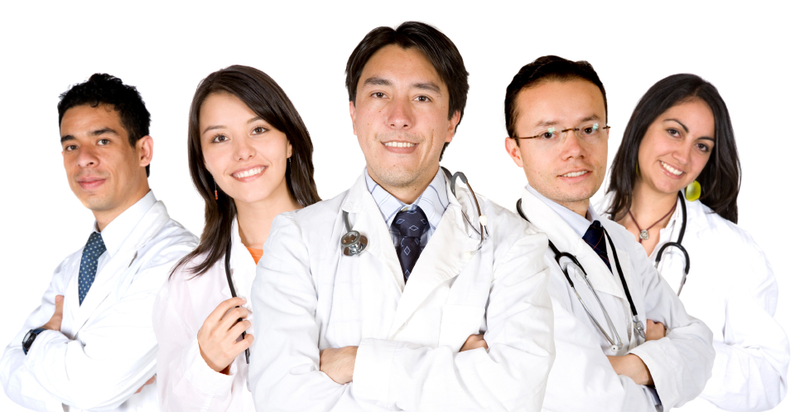 Internal medicine is the branch of medicine that treats adult diseases which do not require surgery. Neurology is the medical specialty that studies the diseases of the nervous system (brain, spinal cord and nerves). Oncology is the branch of medicine that specializes in the diagnosis and treatment of cancer. Orthopaedics is a surgical specialty that deals with congenital or acquired diseases of the musculoskeletal system (bones, joints, ligaments, tendons and muscles). Otorhinolaryngology is the medical specialty that studies the diseases of the ear, nose and throat. Pediatrics is the specialty of medicine that studies and treats childhood diseases from birth to adolescence. Radiology is the branch of medicine that uses X-rays, ultrasound and magnetic resonance imaging as means of exploring the human body. Urology is a medico-surgical specialty that studies the diseases of the urinary tract of both sexes and the diseases of the male genital tract.